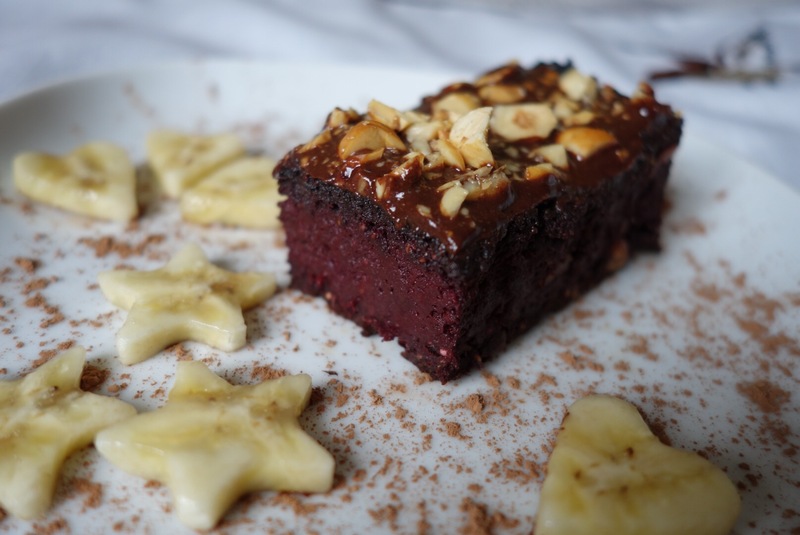 These beetroot brownies are a treat! 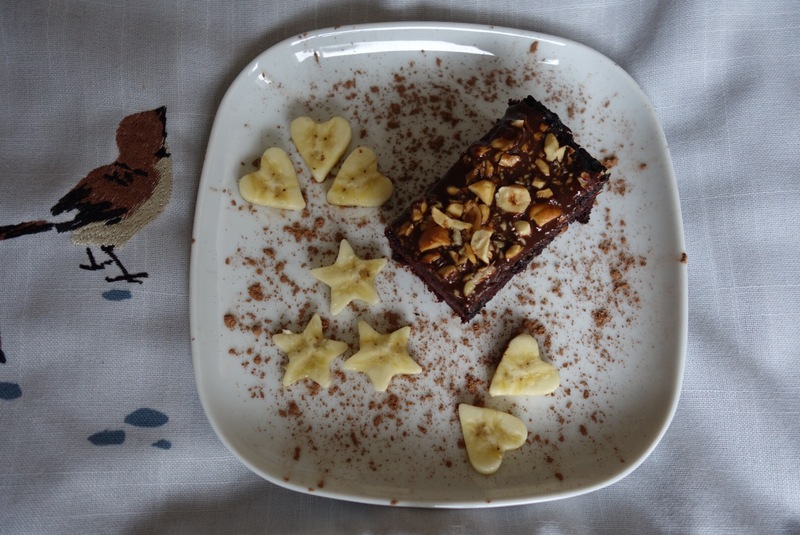 Gooey middle with nuts and a firmer outer layer smothered with sweet icing & crunchy hazelnuts make these brownies a perfect afternoon treat. Beets are naturally sweet so you’ll be able to use less natural sweetner than usual. Start off by cooking beetroot skin on in boiling water (nothing added). Cook for about 30mins, remove from the stove, drain (save a little bit if water for later) and leave to cool. When the beets have cooled, puree them with a little bit of beet water until a smooth mix has formed. 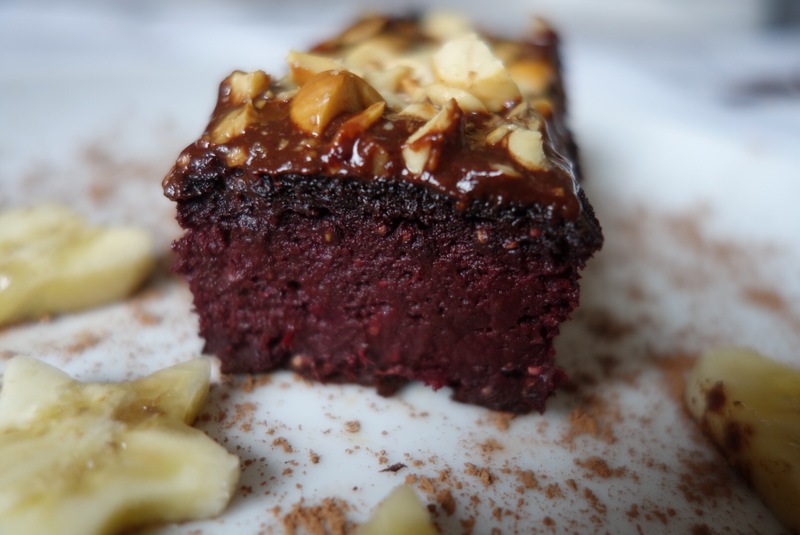 Add the beet puree and mashed bananas to the rest of the brownie base ingredients and mix thoroughly. Pre-heat the oven to 180C. Pour the brownie dough into a cake tin and bake for about 30mins. Take out of the oven and leave to cool. To make the icing mix together all ingredients and leave in the fridge for 30mins to firm up. Spread the icing over the cake and garnish with hand chopped roasted hazelnuts. Enjoy!